"This is a good homemade barbecue sauce for whatever meat you decide to grill." In a small saucepan over low heat, combine the lemon juice, vinegar, brown sugar, Worcestershire sauce, ketchup and mustard powder and stir well. Simmer for 10 minutes, remove from heat and allow to cool. 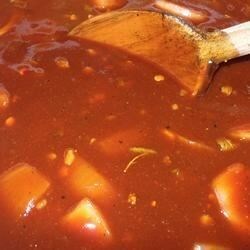 See how to make thick, spicy, blue-ribbon BBQ sauce. This was truly a great sauce! My family loved it.. It started off a little too sour for me so I added 3 more tablespoons of brown sugar... I used it on shredded beef... Yum! !